Oyu onsen is a famous hot spring in Kazuno, Akita. 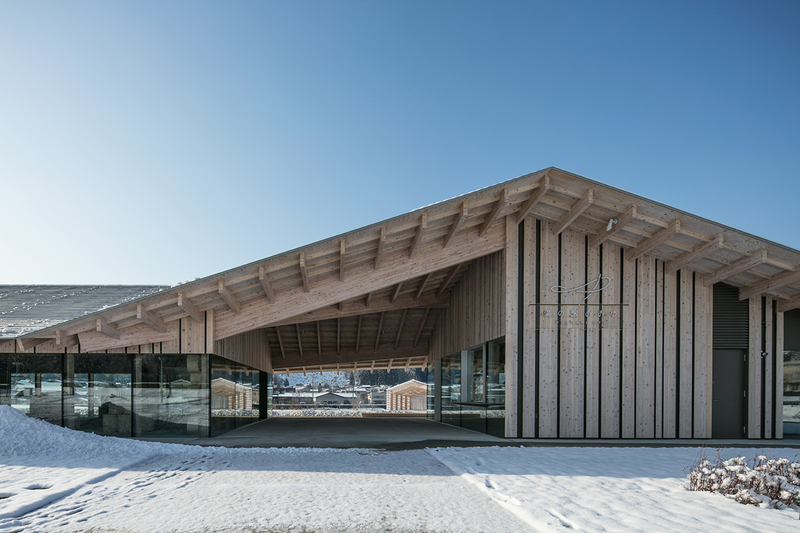 We designed a community center here incorporating a shop, café, open-air theater, park, footbath, and biotope under one large roof. In order to create a dynamic space which varies according to the diverse programs, we referred to mage wappa, a round lunch basket made of thin wood, a traditional craft in Akita’s. 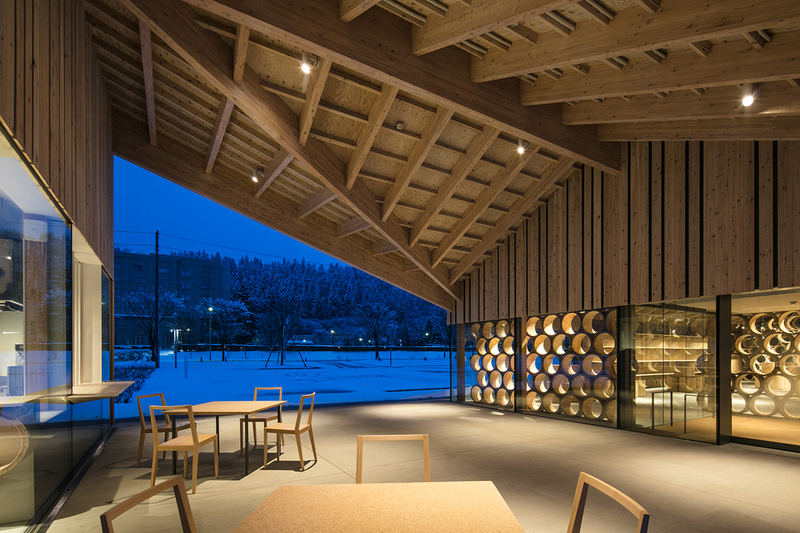 Cylinders of LVL (laminated veneer lumber) reference mage wappa and comprise the structure of the building. The assemblage of those rings then functions not only as a transparent structure but also as a partition or a shelf when needed.